Another victory for Kelley Boyd and her posse of fabulous yoginis! Must be all the meditation that keeps SYC posed for success. With a packed roster of every yoga style from hatha to hiphop and a serene new Pooler location, everyone can find inner peace. You don’t need to be pregnant or a new mother to enjoy Ginger’s stress-relieving talents, though Savannah’s baby mamas swear by her ability to ease a body through the childbirthing year. She’s recently relocated her practice to join forces with the maternity experts at Erigo and offers a variety of modalities. Once again Carol Daly-Wilder pushes and pulls her way to the top—gently, of course. Utilizing reformers, chairs, mats and barrels, Momentum helps lengthen and strengthen your limbs while decompressing the spine. Those tower classes will tighten up your core in no time! Lace up those kicks, y’all! There’s no excuse not to get to the gym when the Y offers affordable rates, Zumba classes, weightlifting facilities, pools and free childcare at five locations around Chatham County. The big brains behind Ledesma Sports Medicine is also an athlete, making him the go-to fix-it guy for all manner of torn ligaments and aching muscles accrued from running, cycling and/or simply fixing the water heater. This exercise physiologist and Savannah native may be good at a lot of things, but you’ve voted him once again as the best guy to get you in shape. Specializing in personal training, group fitness, back care, seniors and post-surgery rehab, Lebos offers small classes and private sessions at his Strong Gym on Bull St. The Affordable Care Act may have brought insurance to more people, but it can’t do a whole lot about big deductibles or long lines at the doctor’s office. From bumps and bruises to minor infections and embarrassing rashes, Savannah knows that most any medical issue can be treated affordably at one of Urgent Care 24/7’s five locations—with no waiting. Neurologist Dr. Jerry Williams opened his first clinic on Tybee Island in 2011 to serve tourists and residents who needed medical attention but didn’t necessarily need to make a trip to the emergency room. Historic Savannah soon followed, and now Midtown, Pooler and Sandfly also have their own clinics. A sixth location is on deck to open in the old Hollywood Video building on Whitemarsh Island, and two more are in the planning stages. That’s what we call a healthy business model. In addition to stitching up cuts and writing prescriptions for antibiotics, the clinics also offer preventative care, X-rays, vaccinations and employer drug screenings. Also popular with the drinking crowd is an IV cocktail of antioxidants, anti-nausea medication and vitamins for those truly heinous hangovers. Each Urgent Care 24/7 clinic is staffed with a board-certified physician as well as physician’s assistants and nurse practitioners. Patients are evaluated quickly and either treated and sent on their way or referred to the hospital if necessary. “At the ER, they’re dealing with acute heart attacks and obstetric emergencies and gunshot wounds and car accidents, but we can handle almost everything else,” assures the good doctor. Where else can you fill your Xanax prescription, buy your grandmother a birthday card and stock up on Cadbury crème eggs at the same time? With the spanking new CVS on Derenne open 24/7, there’s never reason to run out of tampons. She may not make house calls, but Dr. Hungerpiller always has time for her patients at her Family Medicine practice on 65th St and through the St. Joseph’s/Candler Hospital system. Once again the nurse manager at the Midwife Group and Birth Center is your top choice for her compassionate nurturing and undeniable expertise as she assists new mothers. All we know is that she must know a lot about birthin’ babies. As Coastal Georgia’s champion of natural childbirth, Certified Nurse Midwife Whitfield has been providing gentle, comprehensive care at the Midwife Group and Birth Center for more than a quarter of century—which means some of the babies she’s delivered are having babies themselves! The lead doctor at Dermatology Associates of Savannah can bring your skin to its potential glory with a variety of medical and cosmetic treatments for your precious epidermis. We suspect he’d also be really happy if you’d just listen to him about wearing sunscreen. This Savannah native wins again for her talent with the needles. She has been studying the ancient Chinese secrets of how to read pulses and treat disease for 17 years from Master Jeffrey Yuen. We hear Fawn is opening a gorgeous new downtown clinic next month. Everyone needs adjusting from time to time, and Dr. Chris Whelan is Savannah’s choice for gently aligning backs back to health. Treating sciatica, pain and traumatic injuries, he maintains a busy practice downtown. If you’re looking for the best for your pearly whites, the founder of the Habersham Dental Group is your man. In addition to serving a regular clientele, Dr. Schmitz also volunteers his dental ministrations to the homeless at J.C. Lewis Health Center. This makes four wins in a row for this internationally-trained, Georgia Institute for Plastic Surgery physician. Do we know from experience that Dr. Dascombe has the most skilled hands when it comes to nipping and tucking? We’ll never tell. 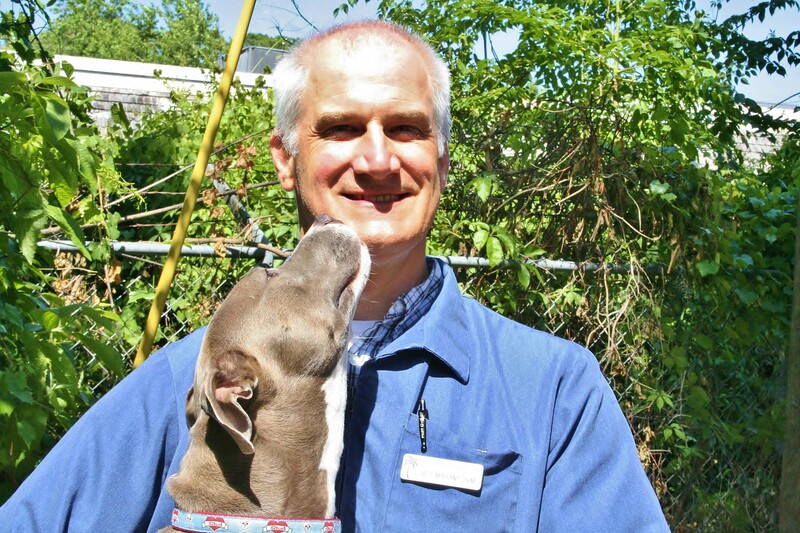 When it comes to caring for our four-legged friends, Dr. Jeff Mahany has the best leash-side manner in town. 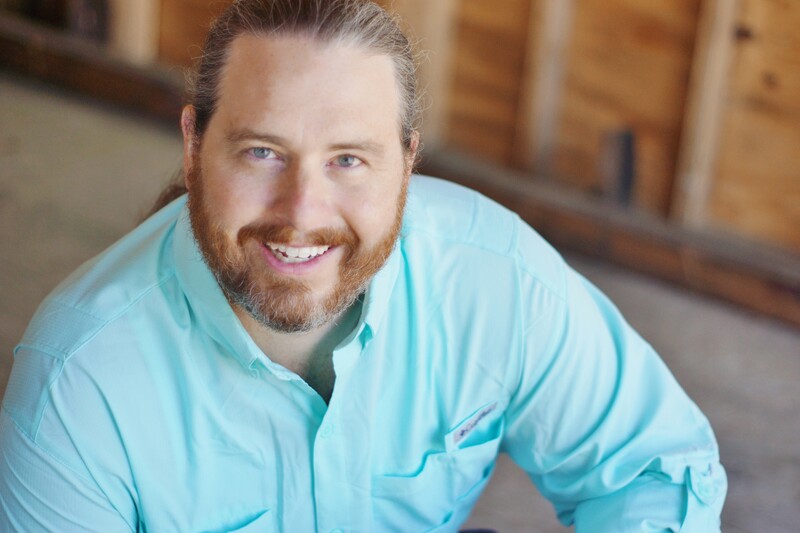 The Savannah native first came to animal care during his undergraduate years at the University in Georgia while working on a dairy farm, milking cows and pulling calves in between classes. He enjoyed that so much that he enrolled in UGA’s heralded Veterinary Sciences program, thinking that he’d continue treating cows, horses and other large mammals in the agricultural sector. “It’s been a very rewarding profession,” says Dr. Mahany, who took over the clinic from Dr. Cooper in 2010. He credits Island Vet Clinic’s other veterinarians, Dr. Jennifer Donaldson and Dr. Allison Witherow, with maintaining the legacy begun by Dr. Cooper in 1973. Dr. Mahany and his wife, Debra, live on the island with their 2 year-old daughter and two rescue pups, Charlie and Kuko. He says that his clients’ humans do a good job of doling out the preventative heartworm medication and keeping up with vaccines. However, some of them need to cool it with the treats and table food. “We see a lot of overweight pets, and that can be really dangerous, especially in the larger breeds as they get older,” he warns. For the most part, though, the felines and canines he sees are in excellent health. Dr. Alex Hill and his caring crew remain your favorite folks to bring your animals for check-ups, vaccines, digital x-rays and surgical needs—as well as a tasty selection of healthy treats. Maybe it’s the actual striped pole outside or the way they flash the scissors for a high-and-tight in less time that it takes to tie a tie, but this classically charming shop on Bull Street keeps its crown. It seems like Nikki Edwards and her squad of killer stylists have been winning this award since mullets were cool—but of course, mullets were never really cool. Congrats to Colorboxx for five years as Savannah’s favorite! This adorable nymph at Salon 2010 can wield scissors with precision skill and produce a caramel-toned ombre as gorgeous as Jared Leto’s. Decorate your digits at this Wilmington Island salon, offering luxurious mani/pedis, a rainbow of gel colors and those simply gorgeous pink-and-whites. Once again, Cora Lynn is your favorite person to enhance your extremities as the lead nail tech at Spa Bleu. How could you not love someone who swaddles your feet in Honeysuckle Orange Cream essential oil? Bat your eyelashes with confidence after visiting this longtime champion of beauty services that include the very latest in skin care and make-up science. Who says aging gracefully can’t use a wee bit of help? If heaven has an outpost on earth, it has to be within the halcyon walls of this serene spot off Broughton Street, where the sounds and bustle of downtown disappear as soon as you walk in the door. With Midtown and Southside locations that offer light booths and spray-on tans, Tan-Tastic remains Savannah’s choice for a healthy glow without the pesky sun damage. Ears, tongue, septum and other parts we don’t necessarily want to know about get expert attention from master piercer Mason Smith. With a fresh makeover and a new line of products, Planet 3 is also the place to shop for body décor. Have an inkling to add something colorful to your skin? Make your mark with the visionary artists of Savannah’s No. 1 tattoo shop on Victory Drive. Even if you don’t know jack about kayaking, climbing, backpacking or paddleboarding, the kind outdoor experts at Half Moon Outfitters can make you look like you do. Managed by the authorities of Troon Golf, the lush course across the river remains Savannah’s favored place to knock out nine or 18 holes. Dock your boat at Turner’s Creek and you’ll find a host of full-service facilities and a friendly crowd with whom to swap fishing yarns. Be sure to ask Capt. Judy about that giant shark! Those in the know adore this green spot taking up a chunk of real estate off Victory and Waters that boasts a paved track, a dog park, a public swimming pool, rolling fields and plenty of shady oaks. The boys of summer can always be counted on to provide entertainment at historic Grayson Stadium. They’ve got home games every other week through August—hope to see y’all at Thirsty Thursdays! Goooaaaallllll! The ruthless Pirates finished 14th in the country in the final Bennett Rank this last season, with a final 11-4-3 record that included two draws versus NCAA championship game participants Grand Valley and West Florida. Be it in baseball, football or golf, the boys of the BC 400 manage to take athletics to new heights with excellent coaching and supportive booster club. Here in Savannah we love our local musicians and we love pounding the pavement, so obviously any event that combines the two is bound stay No. 1. But just sayin’, there should be a special medal for anyone who can sing Joan Jett’s anthem while running 26 miles. Just because we don’t call it fútbol doesn’t mean it doesn’t dominate our hearts, minds and feet—the winners in three categories this year prove that Savannah loves soccer. Established in 2013, SSA Savannah United is the love child of two former soccer clubs, Savannah Celtic F.C. and the Coastal Georgia Soccer Association. The new megaclub offers programs for the littlest tykes on up through competitive adults and is expanding its recreational and academy teams into Richmond Hill and Pooler this fall. The club boasts has distinct style of play passed down from its official football development partner, Chelsea FC, and is an affiliate of the Southern Soccer Academy that sends on elite players to into development programs for Olympic and professional teams. What that means is if parents are willing to cart their lil’ Peles from field to field, there’s top-notch instruction and coaching at the ready. 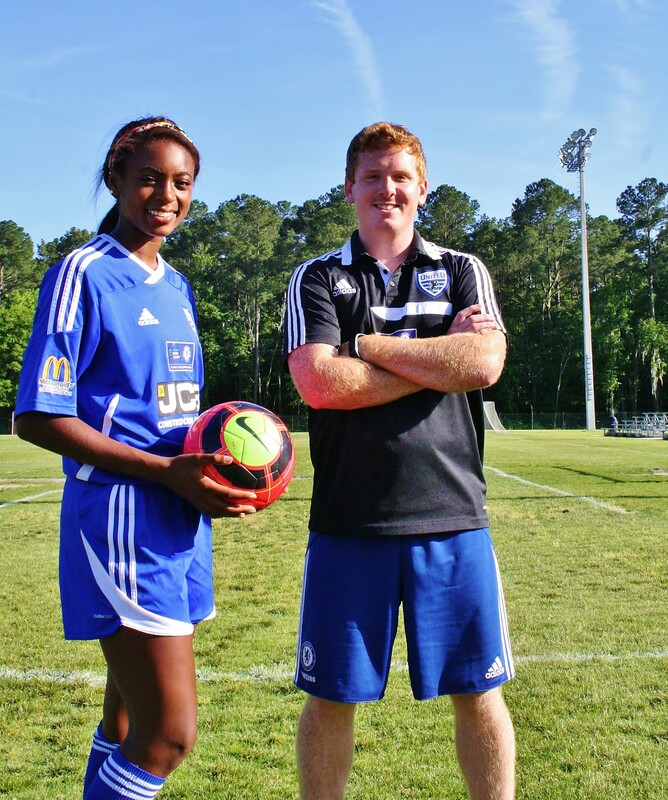 Speaking of coaching, Savannah United co-founder Matt Pritchard has been involved in the local youth soccer scene since 2008. It’s no wonder you voted him Best Coach, ‘cause his adoration for soccer is infectious. A Kansas City native who originally planned to become a pastor, Pritchard now preaches the gospel of soccer to over 1000 players under 8 as the coordinator for Savannah United’s Early Goals and Micro divisions. He also coaches the premier U11 girls’ team that went undefeated this season and tied for sixth place in the State Cup. When he’s not blowing his whistle on the fields, Pritchard spends time with his wife, Savannah, and with a wink says he’s already bought a pair of tiny cleats for their 7 month-old daughter, Quinn. The former player spent years in Olympic development programs until he blew out his ankle his senior year of high school, and though his dreams of a college scholarship were dashed, he’s never lost his enthusiasm for the game. Best Athlete Sh’nia Gordon knows all about the work. At 17, she’s ranked 20 in the nation, No. 3 regionally and 49 out of 150 on TopDrawerSoccer.com. The star forward of Savannah United’s Athena A team, she regularly plays up against college teams—and not just against the girls. While some of Sh’nia’s accomplishments rise from pure talent, the rest come from her superhuman commitment to her game: The Richmond Hill junior trains for two hours every day, doing sprints and drills in the backyard. And that’s before practice even starts. The time she puts in means less hanging out with friends, but it’s paying off: Sh’nia is recognized by the U.S. Women’s National Team and recently attended one of their training sessions last March. Armed with a stellar 3.8 GPA, she already has a verbal commitment for a full ride to West Virginia University, where she thinks she might study international finance. The World Cup megafun swears loyalty to Real Madrid. “I tried just about every sport—basketball, track—and I guess I just love soccer,” she shrugs with a smile, right before she slices the ball through the air with a perfectly-placed foot. In her spare time, Sh’nia studies Cristiano Ronaldo’s moves on YouTube and kicks the ball around with her boyfriend, internationally-recognized soccer dynamo Abuchi Obinwa. Look for them both at the 2016 Olympic trials.